The RMinE masters degree (M.S.) provides students with a specialization in the application of educational research methods. These methods can be applied to a host of disciplines, including the social sciences, physical sciences, K-12 instruction/administration, and business. The masters degree combines 19 hours of core courses (12 of which come from the Graduate Certificate in RMinE and are applicable towards the masters degree) and 18 hours in one area of concentration (quantitative methods, evaluation, or research design) for a total of 37 hours. Students will receive a foundation in key, introductory elements of research through the Core Courses along with additional specialization into various areas of concentration, including quantitative methods, evaluation, or research design. The added concentration area of specialization within the masters degree program provides, in addition to the introduction to educational research methods through the Core Courses, advanced professional preparation for a new career or career advancement as a researcher, evaluator, K-12 instructor/administrator, or policymaker. The masters degree program also provides an excellent gateway to further doctoral study. Below are the required core courses for the RMinE masters degree. Unless marked otherwise, each course will count for 3 credit hours. Please refer to the MS in Research Methods program planning sheet for more information. See also course descriptions and syllabi. Each RMinE student will choose one concentration on which to focus. All suggested electives below are available in an online format. Students are not limited to the following electives; students choose elective courses in conjunction with their advisor/committee. Moreover, students can take up to 3 hours of independent study (EPE 785) and up to 12 hours of internship credit (EPE 790). Applications for the RMinE masters degree will fall under the criteria and admissions committee decisions from the faculty with the Department of Educational Policy Studies and Evaluation. Please see the required application materials and application deadlines at the EPE Application Information page. The RMinE masters degree admissions operate on a rolling basis. However, if you are interested in being considered for assistantships and other funding opportunities as a new student, you will need to submit your application for admission in accordance with departmental deadlines. The masters degree program director is Dr. Kelly Bradley, Department of Educational Policy Studies & Evaluation. 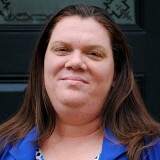 She can be contacted at kelly.bradley@nulluky.edu and by phone at (859) 257-4923.